The Chinese Garden along with its neighbour- the Japanese Garden, has always been especially famous in Singapore due to its beautiful Asian architecture and hoard of attractions. At the entrance of the Chinese Garden stand two majestic lions made of stone and guarding the gates which lead to a 13-arch white bridge that resembles and replicates the 17-arch bridge in Beijing. This bridge is a particularly famous spot for several pictures that you might see on social media platforms. The white bridge leads to the main arch building of the garden that contains a pond filled with Koi fish, another homage to China, and two splendid courtyards ahead of which lies all that the garden has to offer from museums and statues to unique natural displays. The garden is especially visited during the Mid Autumn Festival as well as the Chinese New Year (January/February). 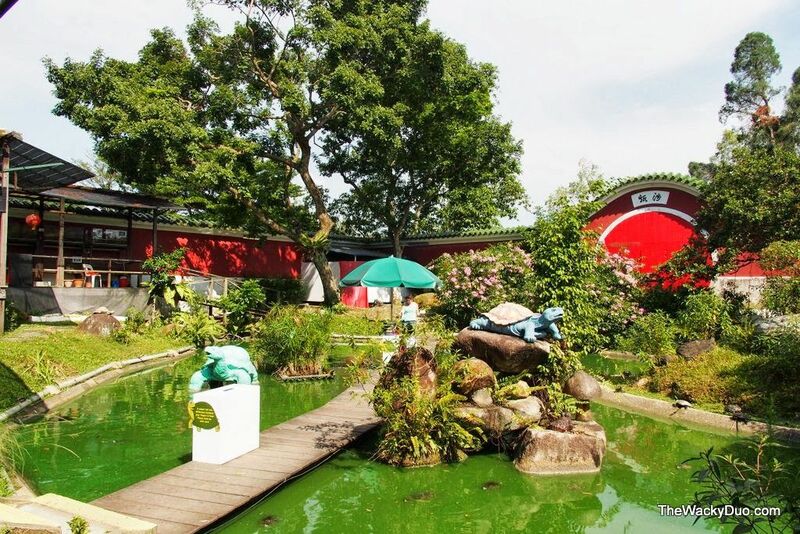 The live turtle and tortoise museum in the main arch building has been home to several live turtles and tortoise enclosed as well as roaming free in the garden. The best way to interact with these friendly creatures is by feeding them the food available for purchase. Aside from this the museums also contain around 3000 different kinds of tortoise related items that are sure to fascinate visitors. The pagodas have always been a great architectural invention of China, and the Chinese Garden stays true to this fame. The garden houses three pagodas that are open for visitation for those who wish to climb to the top and enjoy the scenic view. Two of these Pagodas are three storeys high whereas the third pagoda is named Cloud- piercing pagoda is as tall as 7- storeys high. Inspired by the Linggu Temple in Nanjing China, this pagoda is a true masterpiece. To acquire absolute serenity in the midst of nature, the Bonsai Garden inside the Chinese Garden is the place to be. Made in the Suzhou- style, this gardens entrance is guarded by the famous terracotta warriors. Upon entering the gardens give you a homely feel that- mixed with the serenity, creates the perfect atmosphere for a casual stroll through the area. The garden also leads to a pavilion that seems to be the main attraction of this area, as well as a small hidden cave right below the pavilion. Further down stepping stones are also visible to skip your way through the pond. The garden of abundance is a must visit when strolling through the Chinese garden. This garden houses several 100-year-old Pomegranate trees that cover the entire garden. However, hidden between these trees is the main attraction of this garden- the zodiac statues. The twelve zodiac sign statues pull the curious-minded to this garden and are the perfect place for pictures and lounging on the stone benches around them. Bus- 49 and 154 from Jurong East and Boon Lay Interchanges. Chinese Garden is a smoke-free zone. There are no food outlets in this garden except the kiosk at the entrance that sells drinks and ice cream.